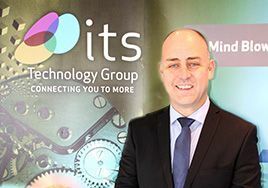 ITS Technology Group (ITS) has secured further funding from funds managed by Maven Capital Partners to support the growth of its full fibre digital infrastructure in metro and rural areas. This latest round includes finance from the Northern Powerhouse Investment Fund, Maven VCTs and other private shareholders. Headquartered in Chester, ITS is using this fresh equity injection to continue to commercialise and grow its full fibre footprint. Investments will be made in new networks and expansion of the major networks in Bristol, London, Herefordshire and Nottingham. ITS’ focus will remain on its successful ‘dig once’ approach, working with local authorities and landowners to reuse infrastructure to reduce the costs and accelerate the time to build new full fibre networks.